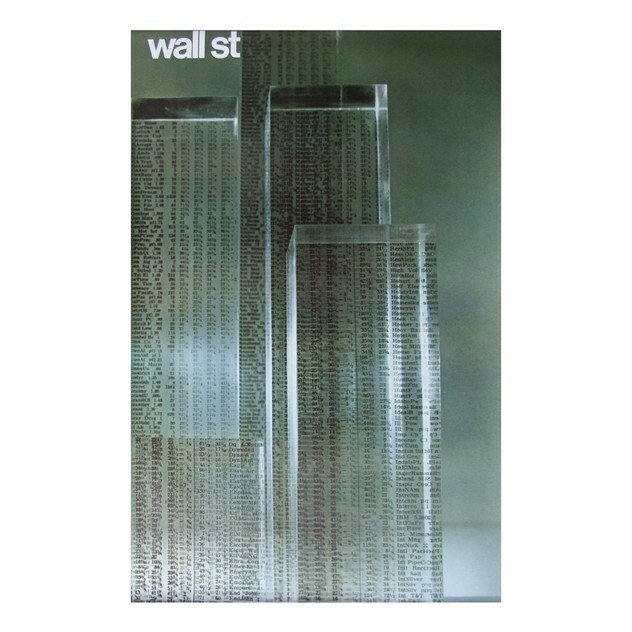 Original 1968 promotional poster designed by Tomoko Miho for the 'Aspects of New York' series commissioned by the Container Corporation of America, USA. Image uses glass blocks with stock values to depict New York's skyline. First edition colour offset lithograph.